The global best-selling guide to film finance. Dozens of case studies and interviews, including Oscar-winning producer Jeremy Thomas (The Last Emperor), crowd-funding pioneer Jim Gilliam (Brave New Films), Susan Buice and Arin Crumley (Four Eyed Monsters), Roy Disney, Gus van Sant, Nik Powell (head of NFTS and legendary producer), Lance Weiler and Paul Haggis (Crash). The Handbook is split into three parts, each roughly taking a third of the book. 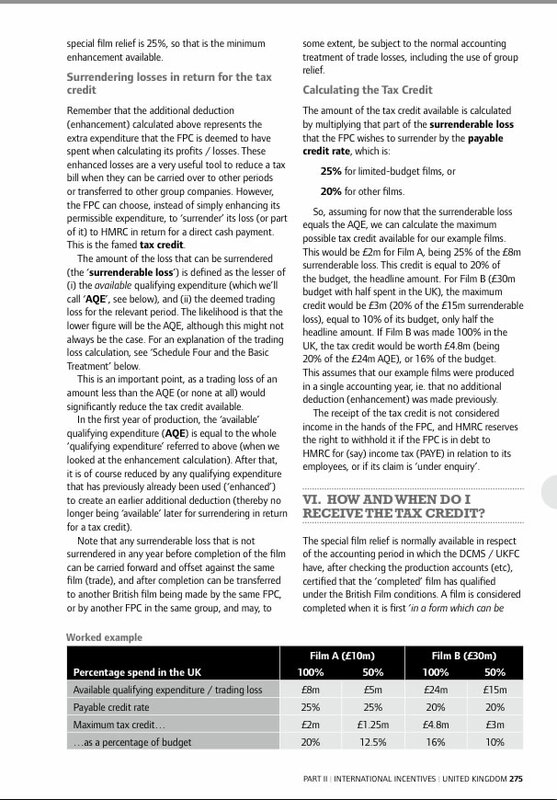 Part I, Theory and Practice, takes you through all the aspects of independent film finance, and includes various case studies and interviews throughout. Chapter 1: Getting Started gives an overview of the film industry, with essential background information and advice on how to prepare yourself and your project in the best way to attract finance. Chapter 2: Low & Micro-budget Filmmaking looks predominantly at ways to reduce budgets for low and microbudget films - while still putting the maximum value onto the screen - through tips, interviews and case studies with independent filmmakers. Chapter 3: Production Financing describes in-depth all the various aspects of production financing. It explains the types of financier that tend to provide funding, what type of deal they want in return, how they need to interconnect with each other, and what needs to happen for the film to turn a profit. We cover step-by-step the entire range of film finance currently available, including Soft Money, Equity, Deferments, Pre-Sales, Gap, Sales Advances, Negative Pick-ups, EIS and Venture Capital, Sponsorship and Product Placement. We also illustrate the roles of the various other companies integral to the financing process, including Sales Companies, Distributors, Discounting Banks, and Completion Guarantors. Chapter 4: The Internet explores how tools, networks and services on the web collectively offer the independent filmmaker great power for financing, marketing and distributing their films, and some of the ideology which underpins these developments. We're pleased to say this chapter was talking about crowd-funding long before Kickstarter and IndieGoGo launched! Part II, International Incentives, provides information on incentives for 50 countries, in many cases written together with local specialists. We cover all the popular countries in depth, and bring to your attention a number of others with attractive and interesting regimes. Part III, Funding Directory provides a full breakdown of 1,000 public funds available from over 300 organisations around the globe. Wherever possible, we include details on their criteria, objectives and (most importantly!) the amounts they are willing to provide. 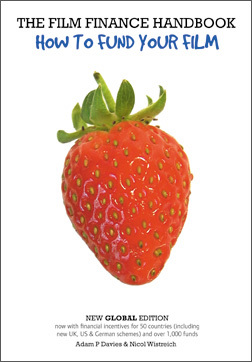 This third edition book was first published in 2007 and reprinted with minor updates in 2008. Funding awards and tax regimes change all the time (even in the gap between finishing writing and getting the books back from the printers in 2007). Of the 460 printed pages to the book, over 200 are articles, guides, how-tos, case-studies, resources and interviews that should still be relevent. 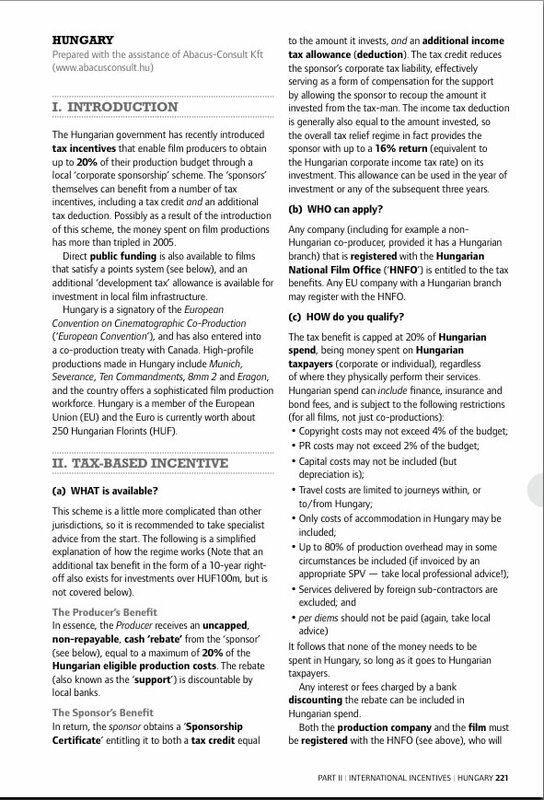 The other 260 pages are a mixture of info on film funds and legal incentives for different countries. Much fund information will have changed so we would advise - as ever - to check for the latest info before making any plans. Click on the humbnails to see a larger version. Get all three versions as a bundle for £14 (UK and non EU only).